L.A. RECORD is an independent music publication for covering all types of music and is the definitive source for Los Angeles music coverage. Our website generates over 10,000 impressions a day and nearly 300,000+ a month for an audience of more than 65,000 visitors from all around the world. Note: This rate is for local businesses, independent labels and bands themselves! For national and international accounts, please contact us direct at advertise@larecord.com. - After placing your order EMAIL ARTWORK to advertise@larecord.com with your order number in the subject line. - File Size - must be 45k or less. - Insertion will take up to 72 hours from the time the artwork is receieved. 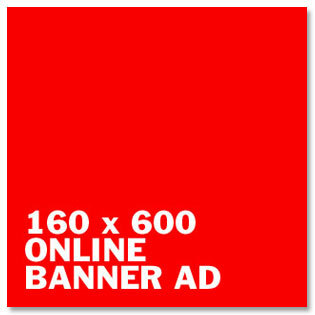 - After your initial purchase we can extend the term and frequency of your advertisement.